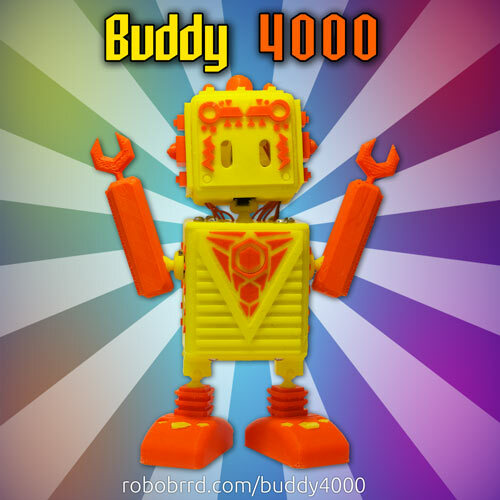 See the links below to go to the different sections for learning about Buddy 4000! In this two-part section, we will assemble the chassis. Here is a picture of some of the main pieces to familiarize yourself with! 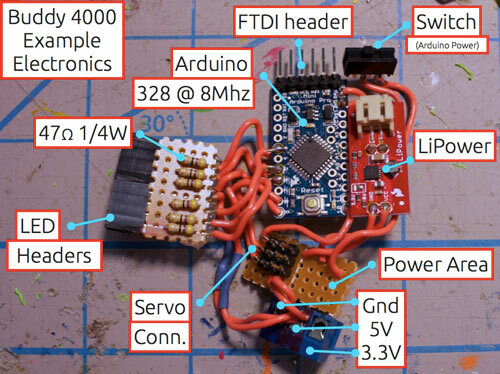 In this section we will show and describe how our example electronics were set up. Here is a picture of the multiple boards invovled. 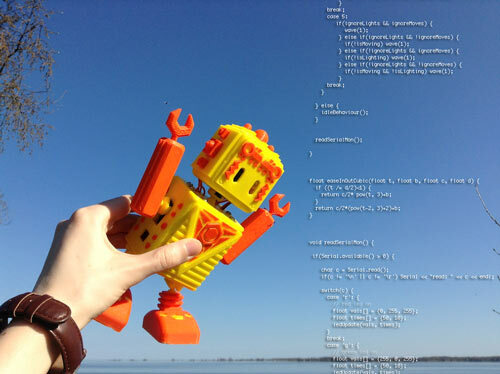 In this section, we will go through portions of the code. You can download the example sketch to run on your Buddy 4000. 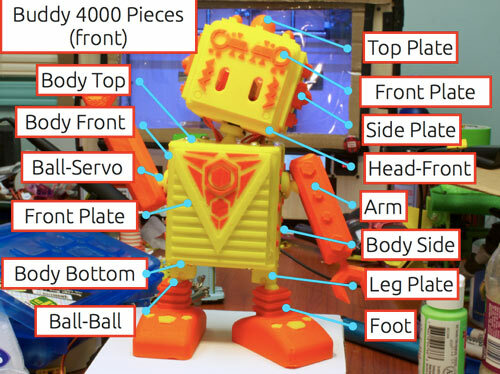 In this section, you can go through all the pieces and download the .stl files to make on your own 3D printer.